3D-printing technology is revolutionizing the practice of medicine. However, despite the promise of 3D-printing in the delivery of healthcare, it is still relatively inaccessible. Its use is not typically reimbursed by third-party payors, and clinicians must rely on the largesse of donors and organizations like OpHeart to access this potentially life-saving technology. 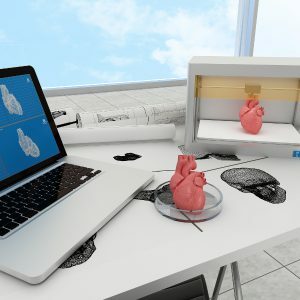 If you are interested in utilizing 3D-printing in your practice or institution, we can help you figure out how to get started or, if you are further along in the process, critical next steps to ensure that you utilize this resource as efficiently as possible. Offer you an unbiased, honest assessment of the most efficient implementation path forward. We will provide 3 hours of assessment and feedback for free, and if you would like us to help build your 3D-printing capacity, we will provide you a detailed proposal.